If you’re tired of the same standard Facebook format for all profiles and business pages, Social Fixer is your new best friend. This innovative browser add-on, previously named Better Facebook, allows business owners to give branding flair and personality to the otherwise bland page structure. Social Fixer also gives users more flexibility on news feed posts, comments and loads more options. If your company has a heavy Facebook presence and is looking to inject some creativity into the mix, Social Fixer can give you a serious edge. Facebook profiles have always allowed limited personalization. Learning from the chaotic, freestyle approach that was part of MySpace’s undoing, Facebook has opted instead to take away the most creative power from its massive user base. While giving everyone full access to modify their profiles in any fashion is still a recipe for disaster, allowing businesses and individuals to add polished flair and style can only engender more marketer loyalty, especially if it improves customer response. That’s where Social Fixer comes in. Currently, Facebook only allows users to update profile and cover photos, control what appears in the news feed (to a certain extent) and of course the usual profile text. 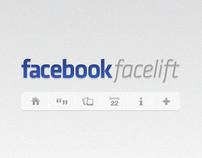 The Facebook Help Center includes details on how to customize a page’s appearance. But options are vastly limited. Features Social Fixer allows you to tweak include adding a tabbed news feed, triggering image previews, controlling who sees what and when in your feed, analytics options to view who is accessing which posts, unfriending details and various feed filters. You can direct specific items to a targeted news feed tab, and create a more stylish theme for your page as well. • Step 1: Choose recommend settings, or opt for a more minimalist selection that switches most add-on defaults to “off.” You can, of course, revert any of these functions later on in the process. • Step 2: Select if you want to place applications and game posts in separate tabs on your news feed (default is yes.) This may not be relevant to a business profile, because owners are likely not playing games with the same account, but this is a fantastic feature to players who do not wish to clutter their feed with in-game achievements and triumphs. Not everyone wants the world to know they just leveled up in Bingo Bash. • Step 3: Customize your chat sidebar. You can replace the existing design with the old pop-up version, opt to show all online friends (or not), and even use a mini chat list that eradicates the thumbnail images. The latter is perfect for businesses who don’t use the chat feature much and dislike the amount of real estate it normally occupies. • Step 4: Select your photo options. You can choose to disable the light box / theater pop-up view that Facebook currently employs, and revert to a more simplistic single-photo display. The default is to keep things as they are. • Step 5: Decide if you’d like to allow users to see the full-sized versions of your images when they hover over a thumbnail in a post or profile. Photo previews are marked as “Yes” by default. • Step 6: For comment posting, you can decide if you’d like to have the Enter key function as a new line creation or auto-post option. Facebook does the former currently, and it’s a major gripe amongst users that Social Fixer wisely addresses. • Step 7: If you’d like to add a link to Social Fixer’s own news feed to the Facebook panel, it will be a great source of tips and tricks for you in the future. And it’s a way to show the free tool a little appreciation for the crafty convenience it affords you. Once you complete the setup wizard, your new Facebook page installs. You will now see profile tabs and news feed labels that are a bit different than the default views, but they will match your selections during setup. Notice, too, that your most recent posts will appear at the top of your feed, but a drop-down menu option gives you the power to switch back to top stories instead. If you wish to change the theme and color palate of your page, click the wrench icon for theme options. Make sure to test new themes on all browsers, however, because not all of them showcase these changes as intended. More fun features include the power to see sum totals of posts (including duplicates), identify who has unfriended you and when, and see the number of times Older Posts has been selected by your users. The chat list will now default to showing online friends at the top of the list (instead of the current alphabetical listing.) The left side of your page will feature navigation panels that showcases content you’ve ‘liked,’ as well as upcoming relevant events. Again, these options can be customized to lead to other favorite destinations, if desired. When you’re out of the setup wizard and looking to change any and all options, just click the icon of a wrench, and a window will appear with a myriad of customization selections. For example, you can hide articles and/or videos from your feed, automatically move posts from applications, or change font sizes for posts and comments. Options get even more granular; you can even choose to show actual time stamps for posted content, rather than the default “one day ago” language Facebook currently uses. Marketers will love the ability to filter all posts by user, type of post, and even specific keywords. This is a chance to really get to know your Facebook fans on a level not previously available. Facebook is notorious for frequent updates to their templates and news feed formats, so if you opt to customize your page, you’ll want to test every aspect whenever Facebook makes even the smallest of updates. Case in point: Facebook recently added new features to their news feed, which may have caused some issues for Social Fixer users. It’s nothing a bit of re-customization can’t address, but just be mindful you’ll likely spend a bit more time than usual on your Facebook presence should you choose to use this add-on. Considering the massive benefits involved in having a page that separates you from the vanilla look and feel of your competitors, however, it will likely be worth the extra time and elbow grease. This excellent post is written by Tina Courtney-Brown and taken from SiteProNews. I’ve had a tough time clearing my mind in getting my thoughts out there. I do enjoy writing but it just seems like the first 10 to 15 minutes tend to be wasted simply just trying to figure out how to begin. Any ideas or hints? Appreciate it! Your article is much valuable for me. Thanks!